Canadian para-equestrian rider Jody Schloss of Toronto, ON, is set to carry the Parapan Am torch on August 6, 2015, as part of the inspirational ceremonies leading into the TORONTO 2015 Parapan Am Games, taking place Aug. 7-15, 2015. “I’m continuously surprised by how many fortunate opportunities I have because of my love for my horses,” said Schloss, who represented Canada at the 2012 London Paralympics. The 2015 Parapan Am Torch Relay is unique in that, for the first time in history, two separate flames were lit on August 3 during ceremonies in Ottawa and Niagara Falls, ON. The flames will come together to light the Parapan Am cauldron at the Opening Ceremony on August 7. 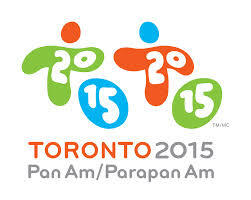 The Parapan Am flame is a symbol which represents and unifies the 28 Paralympic Committee (APC) member nations. Schloss will be among the 250 torchbearers carrying the flame more than 700 kilometres over a five-day journey. Schloss will begin her portion of the torch relay at 12:15 p.m. local time on August 6 from 15 Yonge St. to 29 Yonge St. in Toronto, ON. Schloss began riding recreationally at age 11. Following a car accident in her mid-20s, which left her in a coma, she started competing in para-dressage. She has progressed steadily through the ranks with her long-time partner, Inspector Rebus (Sambertino x Darwin), a 17-year-old Dutch Warmblood gelding. The two reached the pinnacle of their careers on the international stage at the London 2012 Paralympic Games. During this debut as a member of the Canadian Para-Equestrian Team, Schloss finished in 11th and 8th place in the dressage individual championship and dressage mixed team event, respectively.